Search Engine Optimization has gradually progressed over time. Long gone are the times of keyword stuffing, spammy backlinks and poorly worded pages of content simply focused on earning search engine rankings. 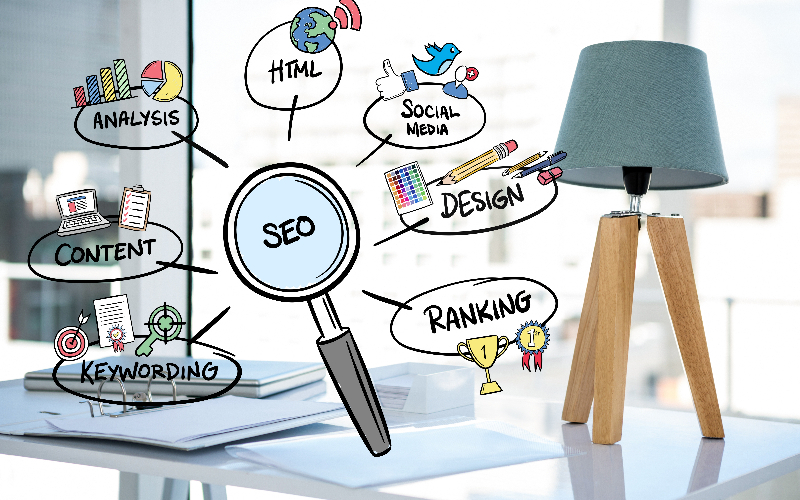 Nowadays SEO is concentrated on the user experience which can enhance the bottom line much more than yesteryear's SEO strategies. It is more important than ever before to have a great mobile experience for your website visitors. Mobile search has increased immensely within the past few years. In the near future, mobile indexing will certainly change the way website pages are positioned in the search engine. For the last few years Google, as well as Bing, have stressed on the usefulness of having an effortlessly viewable website on a mobile device in addition to on the basic desktop computer. The evolution of "responsive design" conveniently created a way for websites to have desktop displays as well as mobile displays. Websites now fluidly change to fit the screen of whatever device is being used. In case your website is trapped in the early 2000s (without a mobile version), it is now time to modernize in order to ensure that your website is prepared for business as mobile-first indexing is rolling out. With the advent of voice assistants such as Siri, Alexa, Google Assistant, and Cortana, natural language copy on your website is also more important than ever before. Voice search happens everywhere and Google is staking a claim in the future of voice search with the release of Google Home. Currently, 20% of mobile queries use a voice search, and it is projected that rate will grow to 50% in 2020. The phrase "content is king" has actually floated all around the internet environment for decades, but it is, once again, more important now than this has ever been. Google has increased the SEO ranks of relatively newly published pages on blogging networks such as WordPress over older static networks. This is because of the new site's appearance as well as relevant content for their searchers. Now, Google has "Rich Cards" with information available for media publishers to instantly get their news articles to the top of the Google Search engine. New content brings Google and Bing crawlers back to your site much quicker than stagnant sites. It is very important to be everywhere your potential customers frequently stop by. This includes social media sites like Facebook, Twitter, Instagram, YouTube, and more. These websites are not just for B2C marketing - B2B customers hang around on these particular platforms, also making them an important tool in your sales funnel. Possessing a cohesive organic and paid social media strategy should be an important piece of your marketing strategy. This is something to be discussed with your marketing agency (link to Contact Us page) if you have one. Traditional SEO techniques like keyword-rich titles, meta descriptions, H1, H2, as well as content are still important. Both Google and Bing still use tags in order to learn the themes of web pages and to assist in ranking them accordingly. Gaining links through helpful articles on your site is still the greatest means in order to organically build links. The days of keyword stuffing though, are gone and are not returning anytime soon. SEO’s importance only grows as the years go by. As methods to reach your potential customers progress, so do SEO strategies. The rules are dictated by the search engines, and the engines are looking for mobile responsiveness. Social media marketing and voice search will only become bigger components for B2B firms in the years ahead. Now is the perfect time to exert your dominance in these spaces. If you would love to discover more pertaining to SEO, contact Tradebuilder Inc. today! Sign up for new Tradebuilder content, updates, surveys & offers. Tradebuilder Inc. with its head office in California offers design, technology and marketing services to clients primarily in the real estate, financial services and healthcare sectors. Hi, good to hear from you! Please enter your details below and we’ll get back to you when we can.